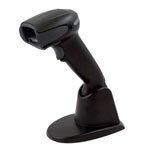 Barcode Discount has a full line of QR barcode scanners that will allow you to scan and decode QR codes. With the growing popularity customers wanting to use promotional coupons that can be accessed through a smartphone, your business should be equipped with a QR barcode scanner that can scan and retrieve the coupons from QR codes. We have a full selection of handheld, presentation, and phone/tablet sleds that can read QR codes to choose from below. 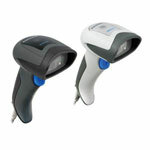 Our representatives are able to provide volume discounts on QR barcode scanners.